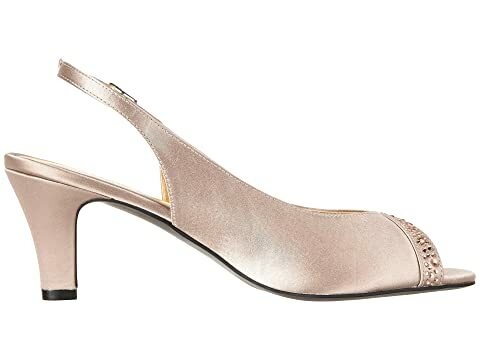 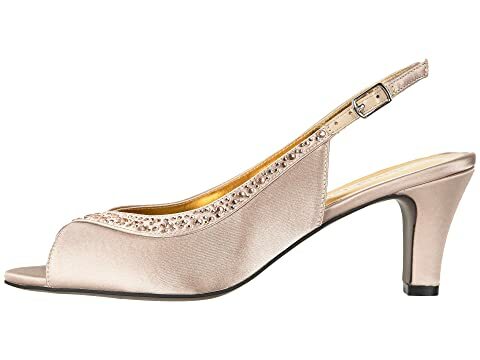 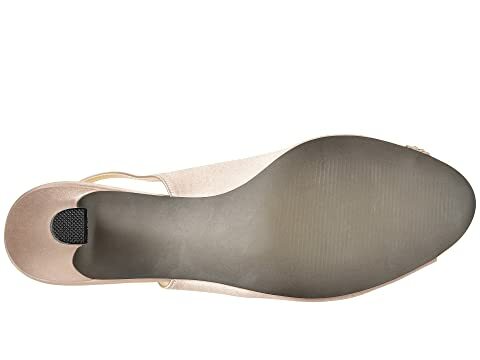 Dance and dazzle the night away in the David Tate® Dainty slingback evening pump. 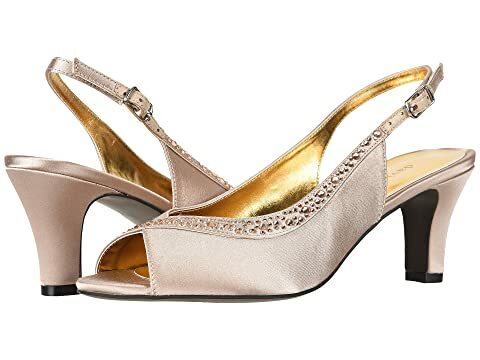 Satiny fabric uppers with a rhinestone trim and open toe. 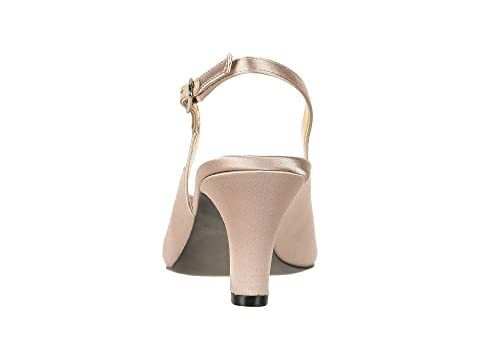 Slingback strap with an adjustable buckle closure at ankle.